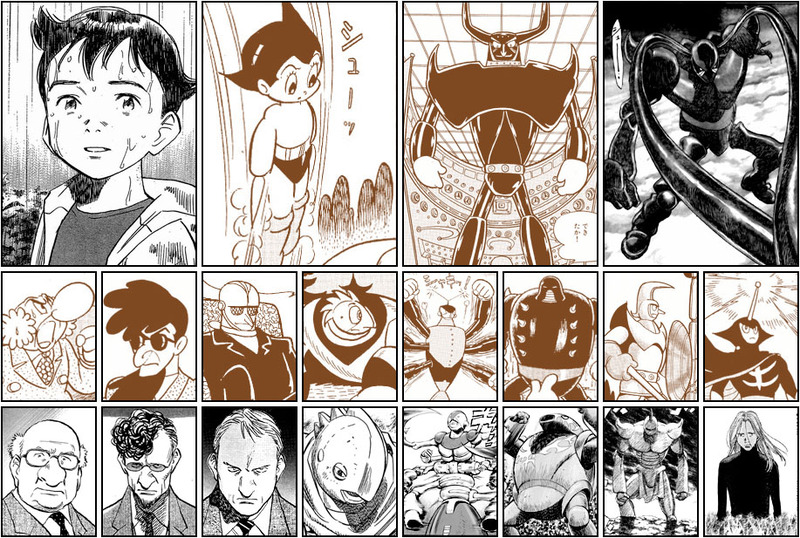 I’m reading Pluto: Urasawa x Tezuka, but I’ve never read Astro Boy, so I found this character comparison chart particularly fascinating. I didn’t realize how much Naoki Urasawa was cleaning up the characters, making them more realistic than cartoony. The chart is by Xavier Guilbert, as part of his Pluto review (translated from the French).